Do not, and I repeat DO NOT take any selfies whilst visiting the Amalifi coast. No matter how many filters you place on your selfie you will never, ever be as beautiful as the Amalfi Coast. Now don’t get offended, I am not trying to insult you, I’m just being honest. If you don’t believe me, go there and see it for yourself. It is truly one of the most romantic spots in Italy, and has a power that is overwhelming. Not only can you, and WILL want to fall in love there, you will also want to get married, and make babies the there too. That’s the power of Amalfi. It’s captivating, seducing, and all enticing. It’s beauty basically lies in its natural look. There are no high-rise fancy buildings, and it has managed to retain its local flavour, culture and heritage. I strongly advise you to hire a convertible car, put the top down, and just drive along the 50 km coastline and enjoy the scent of fresh lemon in the air, which grows all along the regions coast. But be careful, the roads are winding, and as the views are to die for, I don’t want you to actually ‘die for’ the view. So drive slowly. 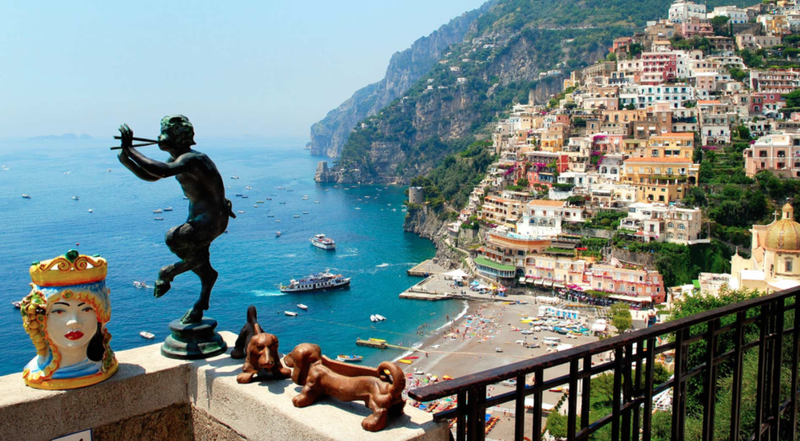 There are plenty of towns to visit during the drive, such as Positano, Ravello and Sorrento. Stop at every other hotel you see that is built within the coastal mountain and just eat! Eat home made pasta, calamari, mussels, fish, and then more pasta. Just eat. Ok I’m hungry now so lets move on. 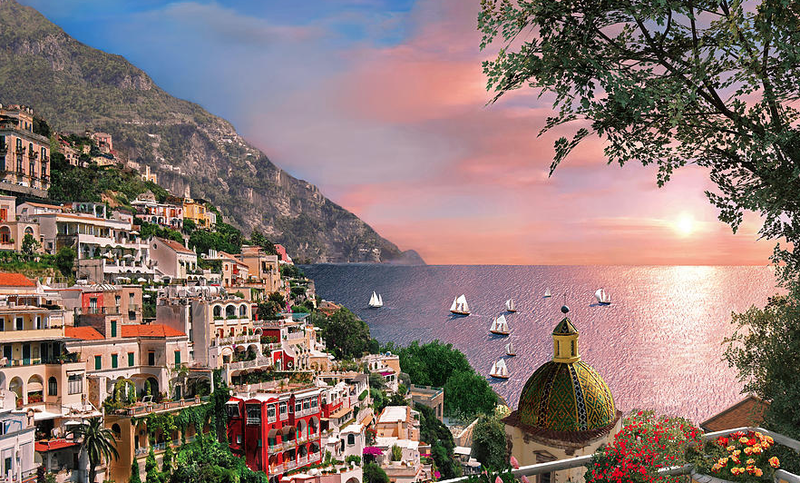 So why is the Amalfi in my personal opinion one of the most romantic places I have visited? 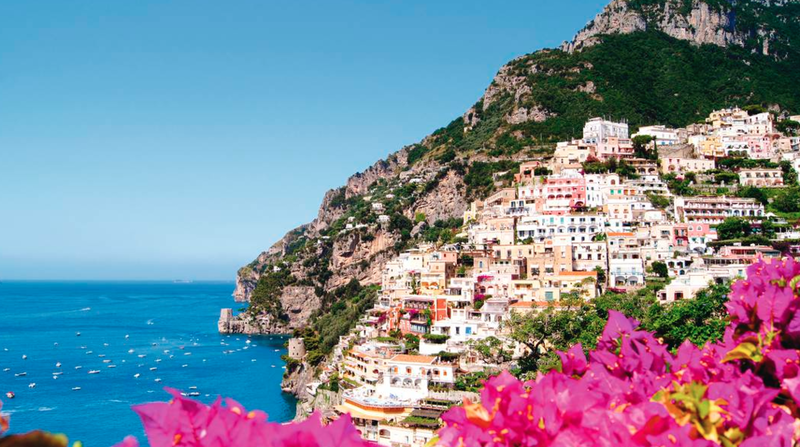 Well, I believe that love is just like the Amalfi coast. It needs no filter and no façade. It is what it is. Raw beauty, asking for nothing but love and respect. And in return, giving love back in all its natural and vulnerable glory. Just like the regions very own Sophia Loren, there are very few natural beauties left in the world, especially on social network. So please don’t mess with the beautiful Amalfi. Keep your filters off and no selfies please!